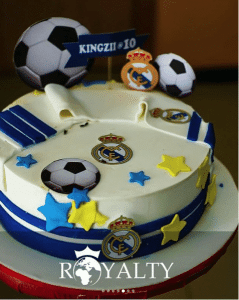 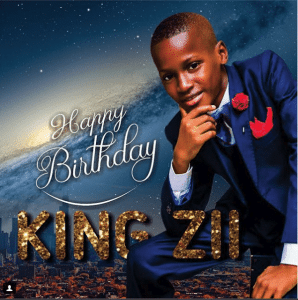 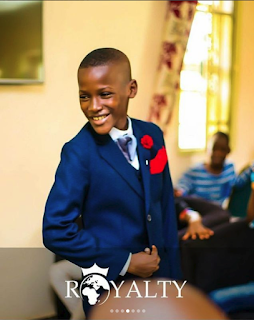 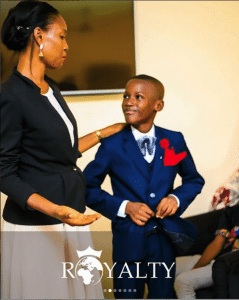 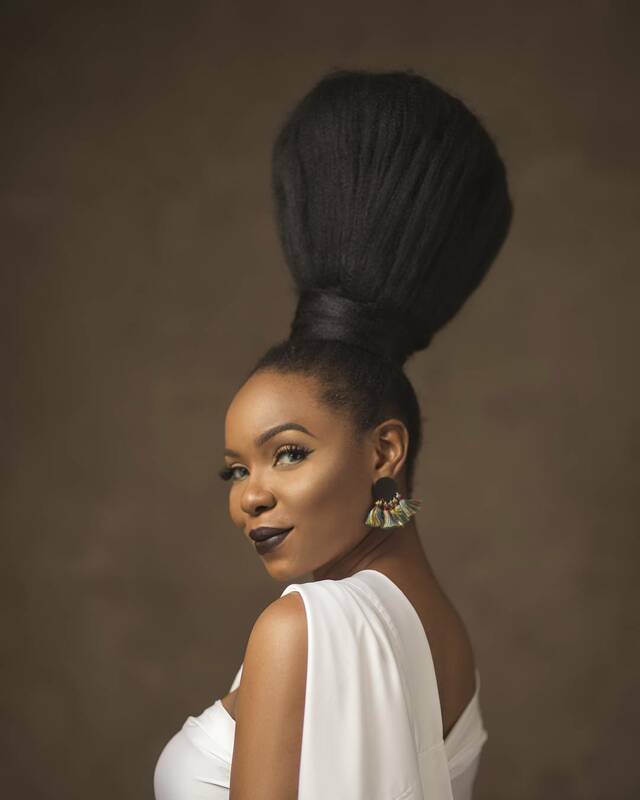 2face Idibia’s second son, Zion was celebrated over the weekend by Pastor Adeoye’s church members as he marked his 10th year birthday in grand style. Though it was a fun filled affair as he had marked his special day with games, food and drinks in company of his friends, a surprise birthday party was also organised for the son of the music legend by his step father’s church on Sunday. 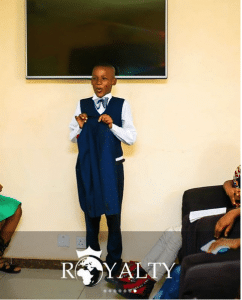 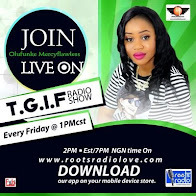 Amidst prayers said for the ten year old, it was indeed a second celebration organised by the Pre-teens department, with his step father, Pastor Adeoye and members of the church. 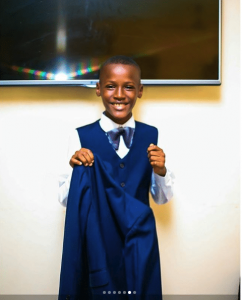 Zion is sooo me, selfless, cheerful, giving and I can say I’m most blessed to have brought to life such a better version of myself. 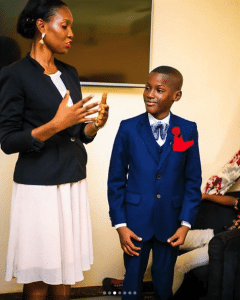 Rocking a blue coloured trimmed suit, Zion was captured excitedly taking pictures with his mum and a fancy cake, organised by the church.